There is a passage that has baffled me a bit and bothered me a lot lately. Ok, so Jesus showed himself. He gave them a mission. And He gave them the Holy Spirit to carry out that mission! This fits as a support, or maybe a prelude to the Great Commission of Matthew 28:18-20, the commissioning in Acts 1:8 and the Day of Pentecost in Acts 2. That fits. We are to reach people with the person and message of Christ. Now, look again at that last verse, “If you forgive the sins of any, they are forgiven them; if you withhold forgiveness from any, it is withheld.” The commentators certainly disagree. If you’re a Roman Catholic theologian, you might say this verse supports the power of the clergy to absolve people of their sins. But I wonder, if the Spirit belongs to every believer and the if the commission beings sent is for every believer, why wouldn’t this opportunity to forgive? If you’re a Protestant, you might say, “only Christ forgives sins” and so this is more a command to offer the message of forgiveness, through Christ, to others. And if we withhold the message, we are in effect, withholding forgiveness. This is probably where I would land on the meaning of the text. After all, we would assume, if we had power to forgive sins, the Apostles would have mad that clear in all their later teaching. Okay, that’s the baffling part! The passage is not easy to understand and apply. Now for the part that disturbed me a bit. I was reading this a few weeks back and it forced me to ask a question that I didn’t like at all. Because when I answered the question honestly, I didn’t like my answer. The disturbing question was: “If I had the power to forgive others of their sin, would I?” If I could forgive someone and lessen their eternal punishment, would I?” What if they were really bad? What if they were evil? What if they were destroyers? What if they ran drugs? What if they are sexually immoral? What if they are pushing values that go against what I believe is right an true? What if they didn’t deserve it? What if they never confessed? What if they hurt someone I loved? What if they cheated or lied and it cost me, or cost all of us? The truth is, there are times I rejoice, if only a little bit, that at some point someone is going to get their due. Yet, as Jesus hung on the cross, he said, “Father, forgive them.” And I believe that sin was taken off their account. Do I share that same heart? I think I must! Jesus said, if I am not a “forigiver,” I can’t be forgiven. I don’t fully know how the economy of sin and forgiveness works. But I believe, if I am going to reach others, if I’m going to live as a sent one, I need to lead with the message of forgiveness, the heart of forgiveness and the actions of forgiveness. I need to passionately long for people’s sins to be redeemed in the love and sacrifice of Jesus, so they can be freed from the burden that rests on them. And I’ afraid it probably applies to the stranger and to the former friend. How do you do with the question above? If you would forgive quickly, what if they did it again? Couple of weeks ago I filled in for Pastor Cady and shared from the book of Jonah. My study of this little book led me to conclude that this is EXACTLY what the book of Jonah is really all about; our hearts being in sync with God’s heart and always leading with forgiveness. We all will always run into our own personal Ninevites, nevertheless, repentance regardless of how bad/sinful/hateful/undeserving the person is who repents still finds forgiveness with God. Good article, Jim! Thanks. Thank you Michael! 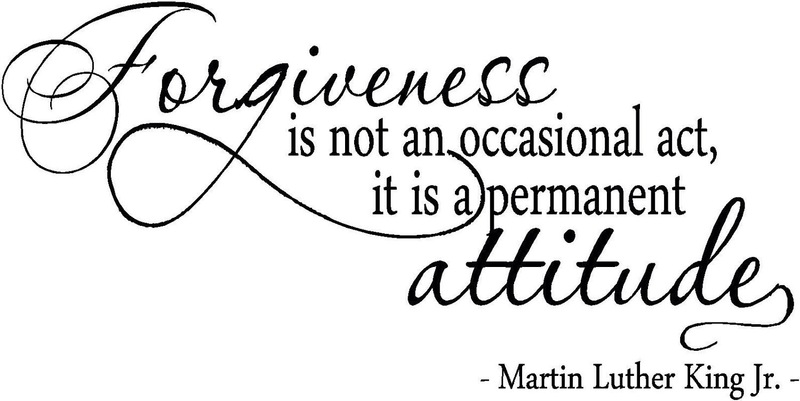 I agree that forgiveness is at the core of the heart of God. And Christ is the proof of that. I preached through Jonah in a first-person narrative sermon back in 2001. And that same point hit me. Again and again, we are confronted with Jonah’s refusal to offer grace and God’s insistence that it happen. It’s a powerful story for all of us.